Primal Scream are dusting off one of their classic-era works, as their 1994 album Give Out But Don't Give Up will be treated to a new release. This isn't some simple reissue, however, with the new record actually featuring the previously unreleased original version of the album. Titled Give Out But Don't Give Up: The Original Memphis Sessions, the reissue will feature the original 1993 sessions for Give Out But Don't Give Up, which were recorded in 1993 at the famed Memphis recording facility Ardent Studios alongside producer Tom Dowd and the Muscle Shoals rhythm section. In 1994, the version of Give Out But Don't Give Up that Scream fans all know was recorded with George Drakoulias, with those original '93 Memphis sessions being scrapped and entirely redone. 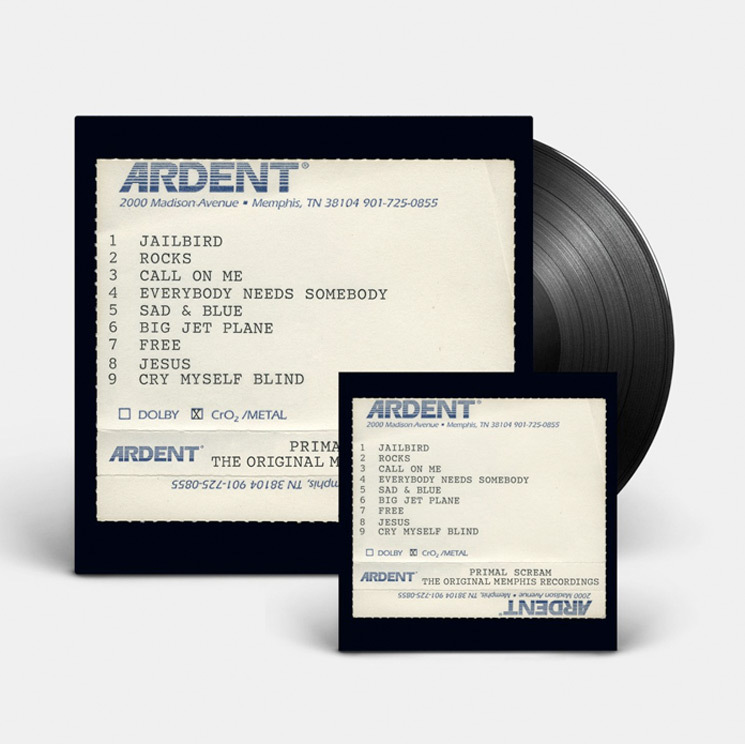 Primal Scream guitarist Andrew Innes recently discovered the Memphis session tapes in his basement, and they are now finally being released as Give Out But Don't Give Up: The Original Memphis Sessions. Of course, Give Out But Don't Give Up is best known for its Britpop night staple "Rocks." The newly unearthed Give Out But Don't Give Up: The Original Memphis Sessions will arrive on October 12 via Sony Music. You can pre-order the release over here. That's the drastically different cover art for the new release up above. You can also get an idea of what to expect with an album trailer below. Primal Scream's last studio album was 2016's Chaosmosis. Read Exclaim! 's Essential Guide to Primal Scream over here. Primal Scream "I Can Change"